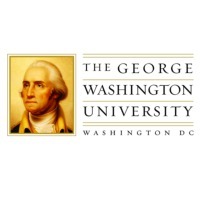 Review: The George Washington University (GW, GWU, or George Washington) is a private, coeducational comprehensive university located in Washington, D.C. in the United States. The university was chartered by an Act of Congress on February 9, 1821, as The Columbian College in the District of Columbia. It is the largest university and private land holder in the nation's capital. It is renowned for its programs in international affairs, political science, public policy, law, and medicine. Location & access map for "George Washington University"